Recently, I assisted in a fashion photo shoot, and let me tell you: it was so much work but so much fun. More on the shoot itself in an upcoming post. During this six hour (gasp!) shoot, I got to watch three beautiful ladies model some new and exciting dresses. Being behind the scenes of the shoot got me thinking about all the work that goes into poses. I mean, six hours of making love to the camera is no easy task. This then got me thinking about you wonderful bloggers and all the OOTD posts that I always enjoy. So I decided to make a series of posts dedicated to modeling poses: they seem super easy, but surprisingly, are kinda hard. Strike a daring pose that let's the skirt flow. If you're a former dancer, gymnast or ballerina, this is the perfect time to reveal your hidden talent. Pose Pro: Unique Angles; I mean, how pretty is this? Let the skirt (and the wind--real or makeshift) do all the work. All you have to do is stand there and look pretty. Use a regular floor fan if it's a less than breezy day. I bet you thought you gave up on twirls the same day you gave up on Barbie, but think again. A slow, smooth twirl with a skirt will look great in a photo, but the keywords are slow and smooth if you want to show off the skirt! Pose Con: This may work for Sophia Loren, but generally, you don't want to show your naughty bits. This is probably my favorite way to pose in a skirt. Sitting in a skirt not only showcases the garment, but it also makes you look very sweet and innocent. Have tips on how to model a skirt? Leave a comment and let me know. Great post, there's some really helpful tips there! im a growing photographer, and everytime i take pictures of my friends after they are sweaty and the have a new sympathy for models!!!! This is a great post! I have so much trouble posing in all of my OOTD posts. I do a bunch of funky moves, take a hundred shots (or it feels like it) and hope to get 3 or 4 good ones where my face isn't showing the work, if you know what I mean. Love it! I can't wait for more of these posts! Cheryl what a wonderful blog you have!!!! Thank you for your sweet comment, can´t wait for the next modelling poses post!! 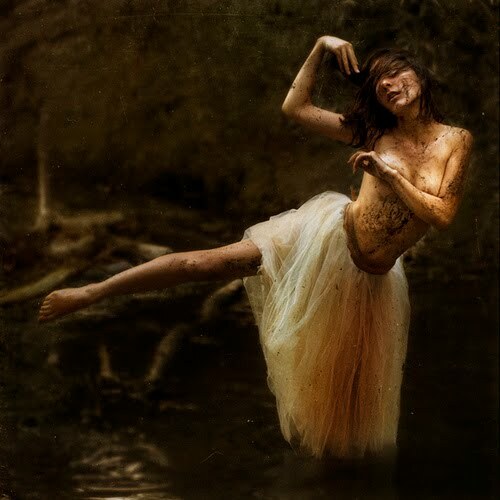 !My favourite one would be the ballerina pose, makes the model look so femenine and graceful!!! Thanks for this post! I enjoyed viewing the photos. I didn't know that there are some poses to "follow" in modeling a skirt. Very interesting post! :) The last photo is awesome. Super creative skirt. I can vouch for the sitting pose! Works every time. No tips here...I'm the WORST at taking photos. My champagne saturday pics take forever. HA! Thanks so much for the lovely comment on my blog. Your blog is so professional looking!! Gorgeous, gorgeous, gorgeous!! Excellent tips hon! I am loving the look of your blog! Very professional, more ezine than blog. It's fab! I do hope you'll post the photoshoot pics too!! This is such a visually stunning psot. Love all of the delicate and feminine poses. Why is your blog so amazing? great tips! And lovely pics! I am following u now! Aww, they look so cool! Fun post! These are all such pretty skirts and beautifully photographed too! Great post. It's full of useful info. This is my first time at your blog. I really like it. amazing pics!!!! *. * the first and the last are my favorite! great post and blog....love all these shots. chek out my blog and if you like it, i would appreciate a follow.